Since the 1990s, The Smashing Pumpkins have been alternative-rock royalty. 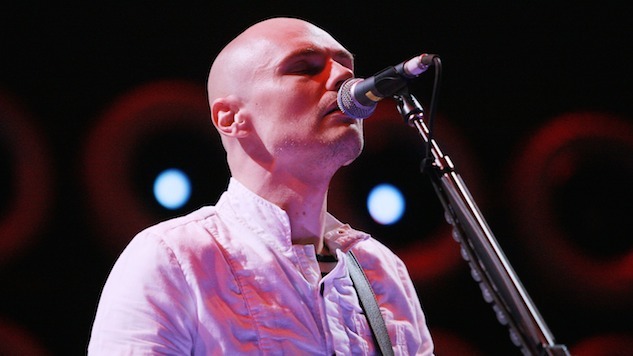 Led by singer/songwriter Billy Corgan, the band’s melodic, tender, thick sheets of guitars made them an international success thanks to albums like Siamese Dream and Mellon Collie and the Infinite Sadness. Last month, The Smashing Pumpkins announced the band’s first new album in 18 years. Despite recurring lineup changes, this album features founding members Billy Corgan, James Iha and Jimmy Chamberlin. Shiny and Oh So Bright, Vol. 1/LP: No Past. No Future. No Sun. arrives on Nov. 16. It was produced by Rick Rubin at Shangri La Studios in Malibu, and will be released on Corgan’s own Martha’s Music. Watch The Smashing Pumpkins perform in San Francisco on this day in 1997 below.